We know you’re excited about ZipBooks 2.0, so we’re sending over a preview of the new reports section. 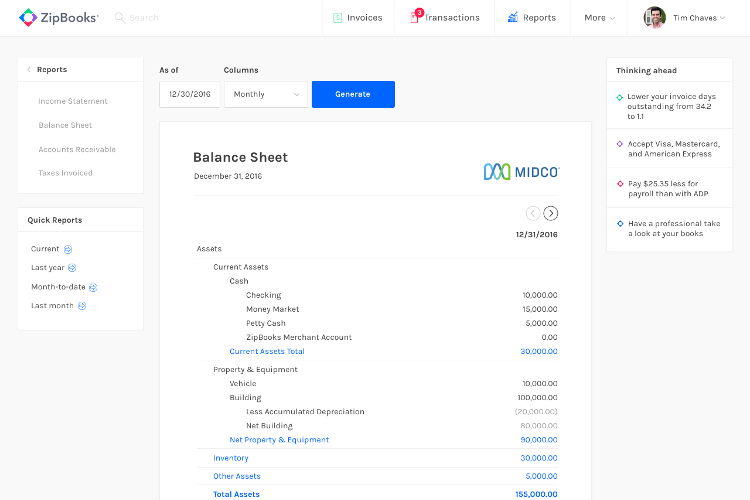 Spolier alert: We’re adding Balance Sheet and Accounts Receivable reports. 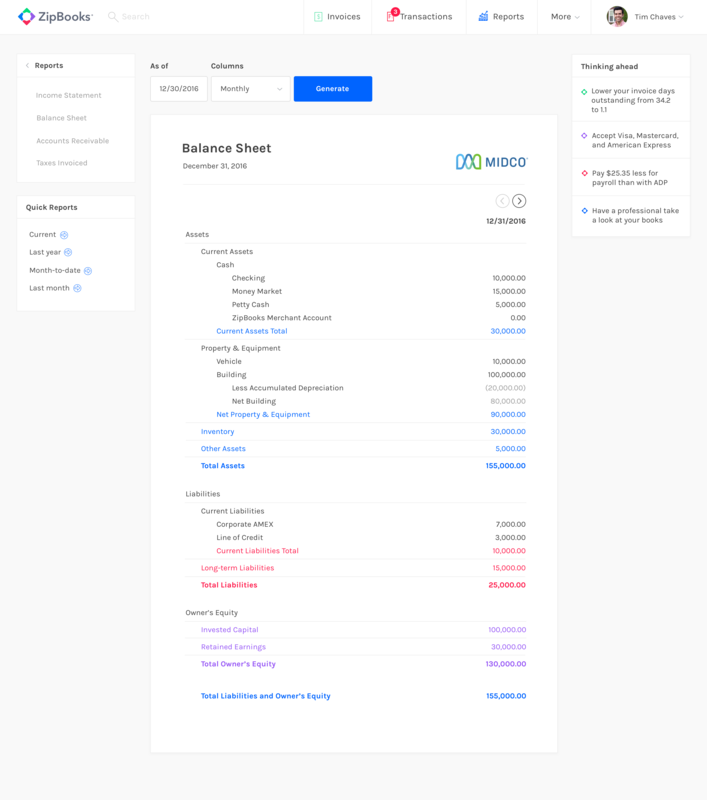 We’re automating balance sheet reporting by category. In “accountant speak,” we’re creating your balance sheet by aggregating your journal entries based on your chart of accounts. The color scheme helps you quickly see what is most important and make smart, intuitive decisions. 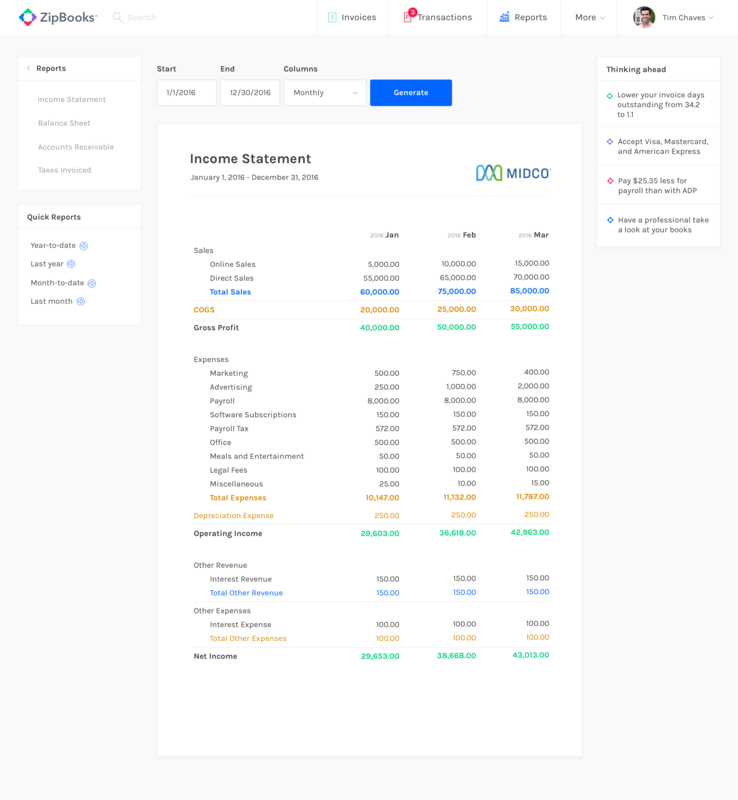 ZipBooks 2.0 tracks more, so your income statement will report more. Now, your income can flow through ZipBooks from any source—invoices, bank accounts, or custom entries. 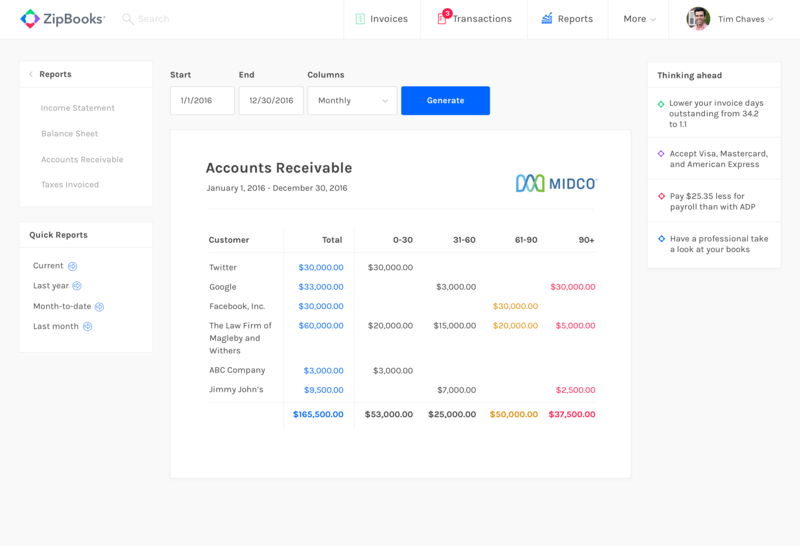 You requested the ability to report outstanding invoices by customer, and we listened! The new Accounts Receivable report makes it easy to see who owes what and how long it’s been outstanding. We’re keeping our Invoiced Taxes report flexible enough to serve your needs regardless of the type of tax(es) you add. 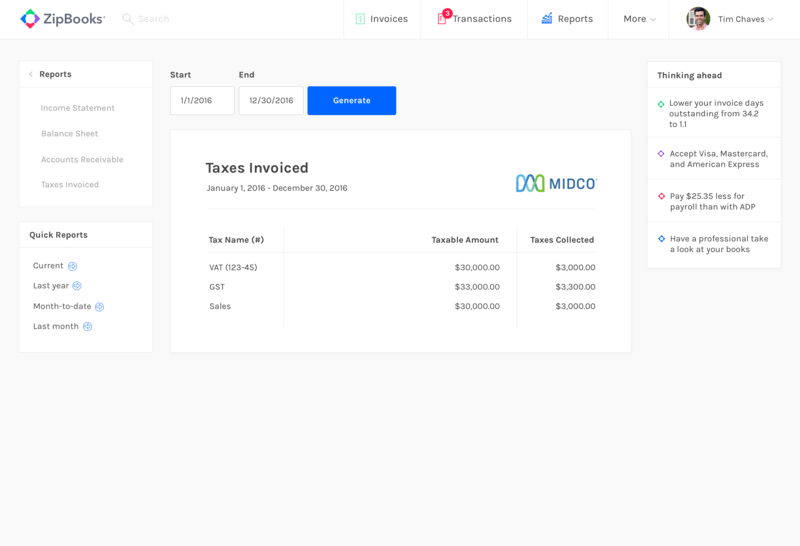 Label and add taxes to your invoice, and we take it from there. We’re participating in a week-long online conference for creatives. We think it’ll be worthwhile, and it’s free to register. Speakers will represent well-known brands, like Adobe and Pluralsight. We put together a breakout session on how to save on taxes, so you won’t want to miss it!